With legions of die-hard devotees, NYX Professional Makeup is consistently one of our most-searched for brands – and with a phenomenal range of high-end products with purse-friendly price tags, it’s easy to see why! 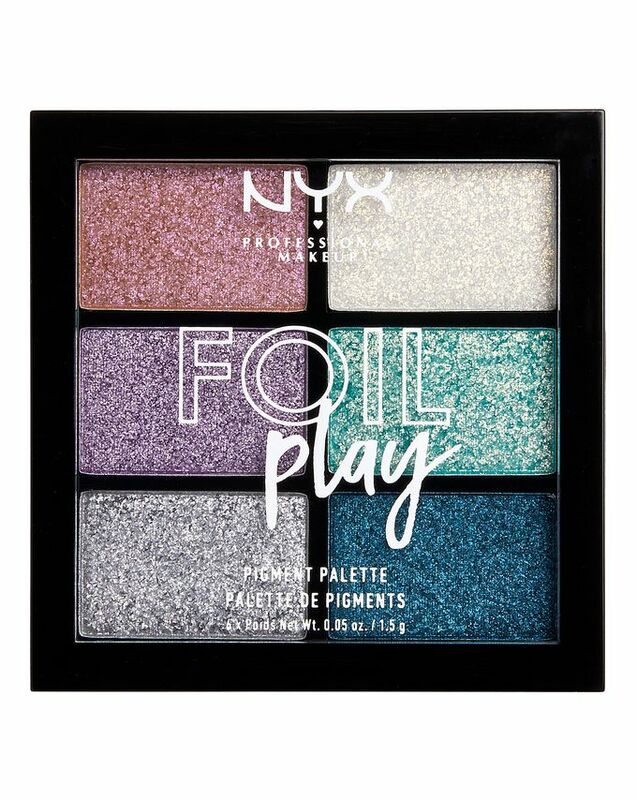 Included in their gold mine of must-haves is the Foil Play Palette – a glitzy assortment of shades that will add some ‘oomph’ to any eye look. 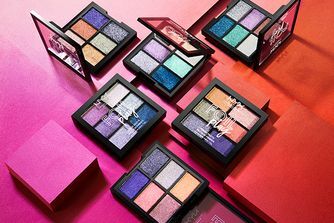 From the firey ‘Magnetic Pull’ to the ocean-hued ‘Limit Love’, these vibrant shadows can be mixed and matched to create a make up look as irresistible as you are. Got plans for your next smoky eye? Consider them well and truly foiled. 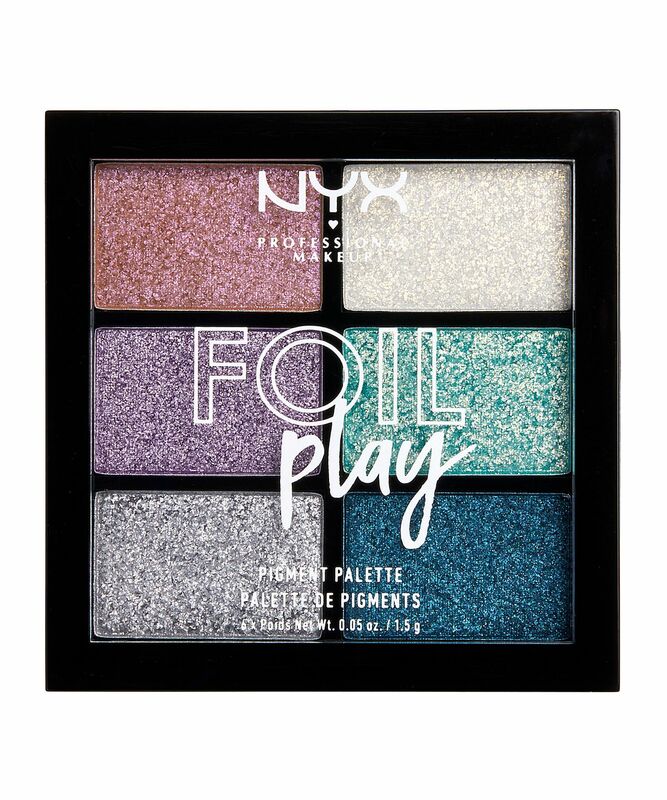 This high-spirited palette is guaranteed to ramp up the fun in any make up look, featuring six vibrant foils packed with pigment. Creamy and rich, the formula is effortlessly blended or built for maximum impact – whether that’s on your eyes, face or even body! There are two gleaming editions to choose from: ‘Magnetic Pull’ features a mix of volcanic shades, including golden copper, fiery red, silver grey and deep purple, while ‘Limit Love’ contains ocean blues, snow white, pinks and purples. Pat gently onto your lids with your fingertips or a flat eye shadow brush. Blend using a fluffy eye shadow brush. Synthetic Fluorphlogopite, Talc, Isostearyl Isostearate, Ethylhexyl Palmitate, Trimethylsiloxyphenyl Dimethicone, Zinc Stearate, Octyldodecyl Stearoyl Stearate, Octyldodecanol, Palmitic Acid, Tin Oxide, Stearic Acid, Alumina, Aluminum Hydroxide, Caprylyl Glycol, Phenoxyethanol. MAY CONTAIN / PEUT CONTENIR (+/-): Carmine (CI 75470), Ultramarines (CI 77007), Black 2 (CI 77266) [Nano],Chromium Oxide Greens (CI 77288), Iron Oxides (CI 77491, CI 77492, CI 77499), Ferric Ammonium Ferrocyanide (CI 77510), Ferric Ferrocyanide (CI 77510), Titanium Dioxide (CI 77891), Mica, Yellow 5 Lake (CI 19140), Blue 1 Lake (CI 42090). 7 payday buys to splurge on NOW! I reviewed this for my YT channel (boo's beauty) and it was disappointing to say the least! Hardly any pigment, not true to pan and difficult to work with :( Gorgeous shades, shame it didn't work for me!